The opportunities for business to extract customer data are expanding. Therefore, today’s business imperative is to enhance customer analytics. This is a guest post from Datumize. Now, companies can gather data from numerous interactions and devices. ​From cell phones to tablets, ​computers to cashregisters​, customers are continuously generating data.​ Furthermore, data is produced in both structured and unstructured forms. For example, traditional data sources like conversion records are now complemented by unstructured data generated by social media interactions. The sources are so numerous that some businesses can find processing the volume of data a challenge. Therefore, developing an integrated overview that reveals connections between these sources is crucial to enhance insights. Companies with comprehensive customer analytics across all sources were generating ​up to 8.5 times more shareholder value. Whilst many companies use data to optimize operations or sales, ​meaningful differentiation comes from customer service​. Through these insights, businesses can better understand their customers’ needs and orient business operations around those needs. 60% of executives reported that siloed data was the greatest barrier to detailed customer analytics​. To overcome these obstacles, businesses are creating agile teams that develop solutions with customer experience at their core. Data is valuable, but it is of little use if businesses cannot analyze the information effectively. Therefore, companies need to ensure they have ​the right tools​ to visualize and interpret data. ​These tools are increasingly accessible, making it possible for less data-literate operations to leverage insights independently from data scientists, in spite of their continuing importance. Previously, many companies have adopted a product-centric attitude to data. Essentially, this approach generates value for the business as opposed to the customer. For instance, ​airlineswere trailblazers in dynamic pricing models​ that adjusted ticket prices according to demand. However, the new business imperative is customer centricity. This is because ​an increasingly competitive market means that service is now the primary product differentiator. ​Today, consumers expect every interaction to be instantaneous and seamless. Meeting these new expectations requires robust analytic capabilities that enhance customer experience. In contrast to many airlines, hoteliers are using data to strive towards meeting customer expectations. For instance,​ ​Ritz-Carlton Hotels aredeploying data to generate added value for their customers.​ Their ​data tools track customer requests, so they could predict future requirements.​ So, to illustrate, if a customer requests a hypoallergenic pillow, Ritz can ensure they have one available for every stay in the future. 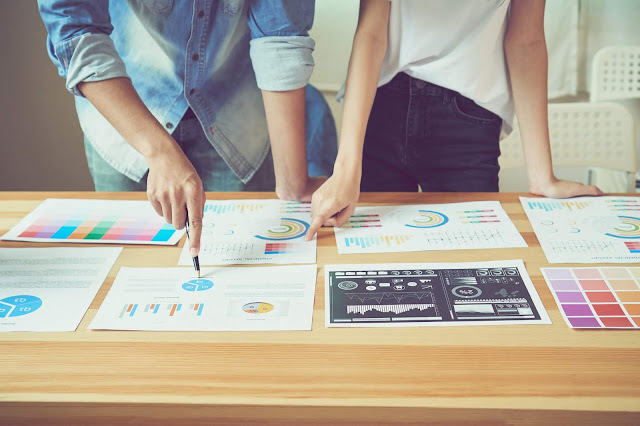 To ​profit from customer analytics​, ​C-levels need to implement technology and business cultures that make interfacing with data seamless.​ For example, marketing managers need to ensure data about customer interactions with marketing content is readily available. From here, they can use data to personalize campaigns and offers. Furthermore, sales departments need intuitive tools that make actioning insights more straightforward.​ Once these capabilities are in place, business can begin reaping the benefits identified by the Harvard Business Review.